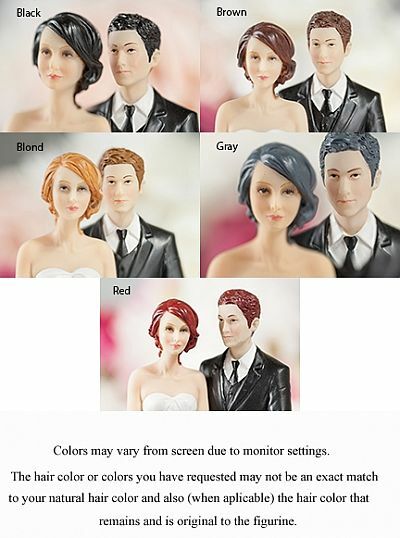 Strings of flowers flow over this beautiful cake topper featuring an elegant fine porcelain wedding couple with the bride carrying a delicate handmade baby pink rose bouquet and a beaded faux pearl hair piece. Hand painted. Faux pearl arches. Skirt is made of organza. 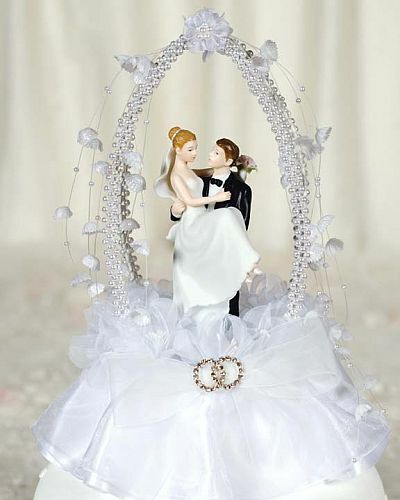 The front of the cake topper also features a pair of entwined rhinestone wedding rings.